Marketing in a recession can present software firms with some unique challenges. Regardless of whether or not you believe we really are in a full-blown global recession, or just a temporary economic slow-down, it is likely that you are having to keep a close watch on how you are spending your marketing budget. We polled our software/SaaS company website visitors and did an informal survey of our software marketing clients to understand how the recession is impacted software company marketing plans. More than half of respondents found themselves with a decreased marketing budget. Of those companies with a decreased marketing budget, about half reported spending more time on internet and new media marketing to save costs. This is consistent with Softletter's SaaS Report: In a SaaS marketing survey they found increased spending on webinars, blogs, PPC campaigns and search engine marketing. About one third of respondents said that they were increasing their marketing budget to try to gain market share and/or maintain sales. If you also find yourself with a reduced budget and increased demand for marketing results, then check out these ideas for cost-effective software marketing in a recession. 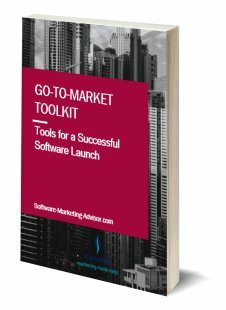 I posted before in this article about some general tips for marketing in a slow software market. Keep reading below for some tips on how to be effective and budget-aware with your marketing in a recession. How should your marketing efforts change in a recession? Your first reaction may be to cut way back on your marketing budget. And realistically you probably will have less money to play with. But rather than simply doing less of what you already do, you should think about ways to be smarter with your marketing budget and focus your messaging and communication venues on the things that matter most to buyers in slow economic times: their bottom line and meeting their immediate (short-term) needs. Having a long-term visionary story is great, but your marketing should not lead with that. Keep it focused on the bottom line customer benefits. In a recession your marketing budget may be reduced. So the items you do spend money on need to be ones that are going to have immediate business value to you. It's important for to you evaluate the projected and actual return on investment of your marketing programs. Marketing online can be much more cost-effective than other forms of marketing. Make sure you are taking advantage of the online marketing opportunities available, such as forums, blogs, segment-specific sites, SEO and PPC advertising, newsletters, etc. Check out this article for more tips on web software marketing. The likelihood of a repeat sale from a current customer is always higher than selling to a new customer. But this is not just sales’ job. Make sure you’re enabling your sales team with the tools they need to effectively sell into existing accounts. Re-engage current customers for feedback on their needs. Not only is this an effective way to focus scarce marketing dollars, but you will also find out what is most important to your current customer base during a recession and you can update your messaging accordingly. Even if we are in a recession, some niches or market segments will continue to grow. Make sure that you are focusing your marketing efforts on those customer groups who have money to spend and can realize immediate value from your product or service. It could be that in a recession there are opportunities available to you that were not so apparent before. Looking at past economic downturns, the companies that focused on gaining market share during a recession were the ones that had the strongest business growth after the recession was over. In the current recession, it seems likely that software as a service (SaaS) will grow share compared to on-premise software licenses, even more so than if the recession had not occurred.